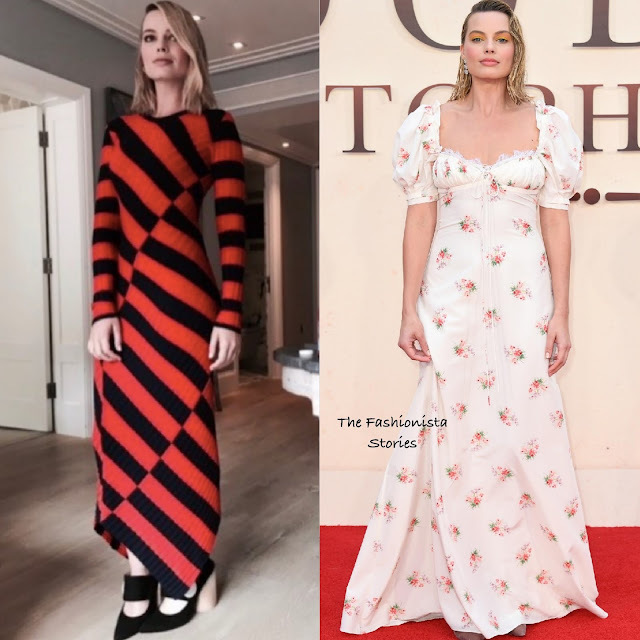 Margot Robbie is out in London promoting her new film 'Goodbye Christopher Robin' and yesterday she attended the photocall & premiere. For the photocall, her stylist Kate Young posted a photo of her look on instagram which featured a ALTUZARRA RESORT 2018 navy & orange stripe ribber dress and JACQUEMUS FALL 2017 shoes. Side parted waves and minimal finished up her look. 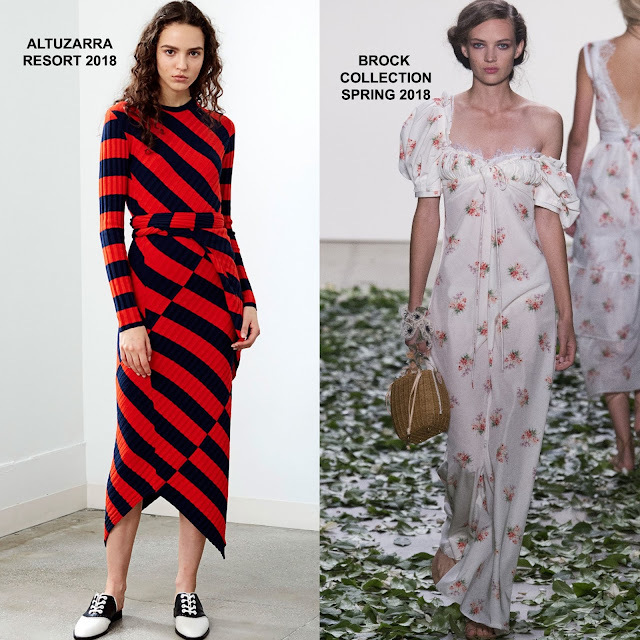 For the premiere which was held at Odeon Leicester Square, she wore the white multi BROCK COLLECTION SPRING 2018 'Doda' orchard silk cotton floor length dress with a sweetheart, ruched neckline and short puffy sleeves. The dress is so unflattering on her bust. Also I like her beauty look but I don't think it works with this dress style. ASPREY LONDON & JIMMY CHOO heels finished up her look. Which one of Margot's look do you favor?